When disaster strikes, the ones we love are supposed to be there to help us heal - but this poor dog suffered a tragedy and was then left completely alone. Vet Ranch, an organization that treats rescue animals in need, came across a dog left alone on the road, unconscious after being hit by a car. The 3-year-old dog, now named Rosco, was brought to Vet Ranch at 10:30 p.m. under emergency circumstances. Miraculously, Rosco turned out to be OK - when he awoke after being unconscious, rescuers determined his most pressing symptoms were a headache and a beat-up lip. 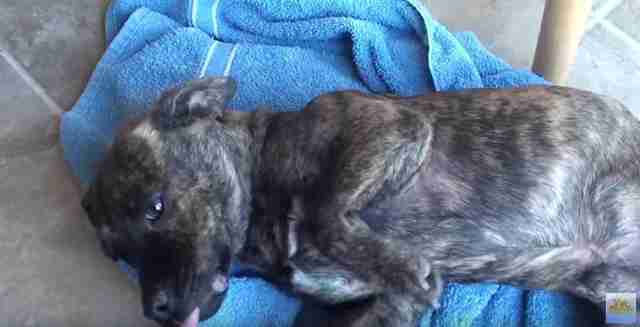 His injuries could have been so much worse, but unfortunately those weren't the end of the pup's struggles. 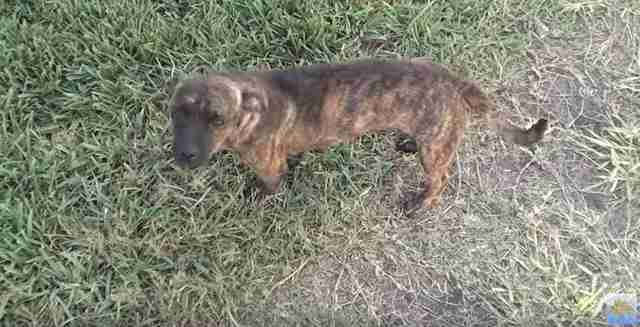 Volunteers at Vet Ranch were able to locate Rosco's family ... who replied that they no longer wanted him. 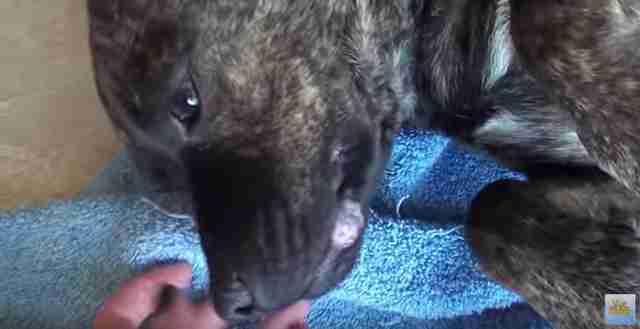 After being hit by a car and left for dead, the only family he had ever known abandoned him. Rosco was understandably terrified. Dr. Wendy, who handled Rosco's care, decided to take him home with her to see if being away from the hospital made a difference in his demeanor ... and it absolutely did. As soon as Rosco was home with a family, his personality changed and he started thriving. He was no longer scared and nervous - he was instead so happy to be alive. 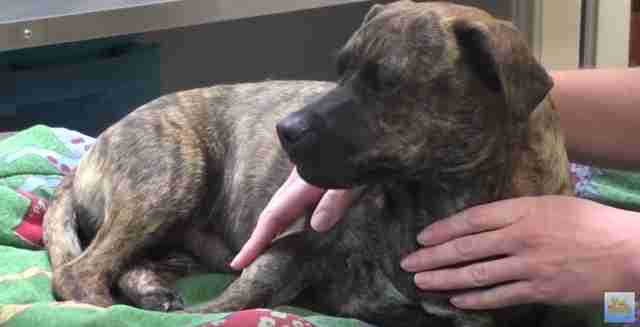 It turns out all Rosco needed to feel safe was a home and someone to love him. Rosco is now up for adoption. With any luck he will soon have a new forever family - one who will appreciate him for the amazing dog he is. If you would be interested in adopting Rosco, you can contact Vet Ranch for more information.